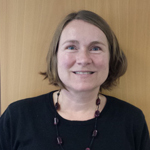 Susan Cassell is Policy Manager for Data and Resources at ESRC. She provides support for phase 1 of the ESRC’s investment in Big Data: the Administrative Data Research Network and is also the case officer for two Doctoral Training Centres. She is involved with various working groups across the ESRC. I’ve just spent half a day with ESRC colleagues looking through the entries to the ESRC-SAGE Writing Competition: The World in 2065. The aim of the competition was to provide a platform for young academics to share their enthusiasm and vision for social science over the next 50 years, by inviting entrants to answer the question, ‘How will your research or discipline change the world by 2065?’. There were 77 entries to review, each written by an ESRC-funded doctoral student. I was struck by the variety – each a unique take on what social science research will have contributed to the world by 2065. Some authors unleashed their creativity and imagined a future in 2065 that seems more science fiction than fact. Not that any of us know for sure what the future holds. Though one writer did seem sure about this: ‘in 2065, ESRC will celebrate its centenary’. My mind is racing. What will the world be like in 2065, and what will ESRC be like? What will my life look like, and that of my son, now aged three? What do the next 50 years hold for us all? I’m excited by the prospect of scientific discoveries and the increasing power of technology to transform our lives. I’m struck in particular by the increasing power of computing and data handling, the so-called digital age. ESRC has recently made significant investments in Big Data infrastructure, aimed at unlocking the research potential of routinely collected government (administrative) data and of business, consumer and local government data. In parallel, the next phase of ESRC funded post graduate training, includes plans for two Centres for Doctoral Training – one focusing on Biosocial Research and the other on new forms of data – reflecting the growing importance of this type of social science research, and the need to invest wholesale in the training and skills of the next generation of social scientists. Critical to this will be scientific communication and scientific leadership skills. The grand challenges faced by the world (global climate change, depletion of finite fossil fuel reserves, a growing and ageing population, to name a few), are ever more complex and inter-linked and require multi-disciplinary investigation by teams of researchers in the UK and beyond. At the same time, the public and taxpayers want to be convinced of the value of social science research (they are paying for it, after all) – this is where communication skills are at a premium. There is great skill involved in the winning of minds and hearts. I really hope that the ESRC-SAGE Writing Competition heralds the start of similar initiatives to promote excellence in science communication skills.